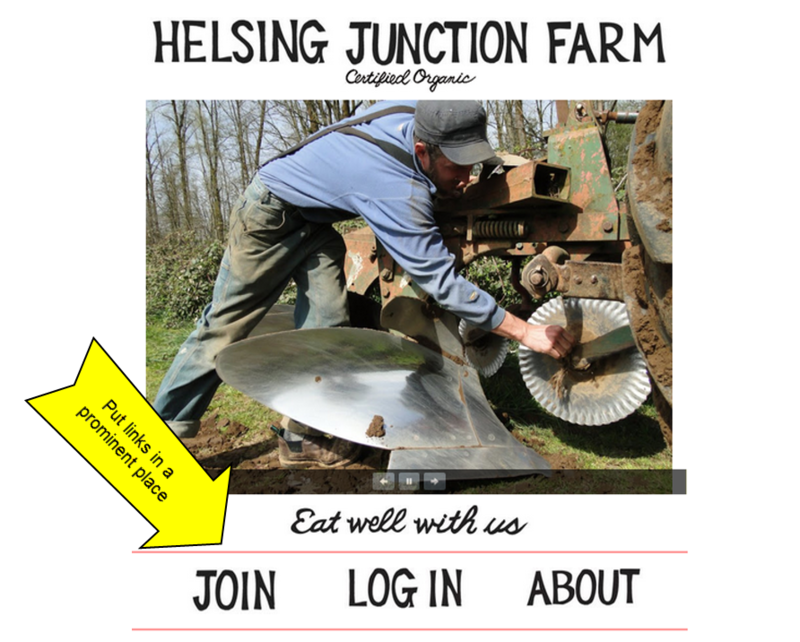 Farmigo Basics > Setting Up a New System > How do I integrate Farmigo with my website? How do I integrate Farmigo with my website? Congrats! You've completed setting up your system. 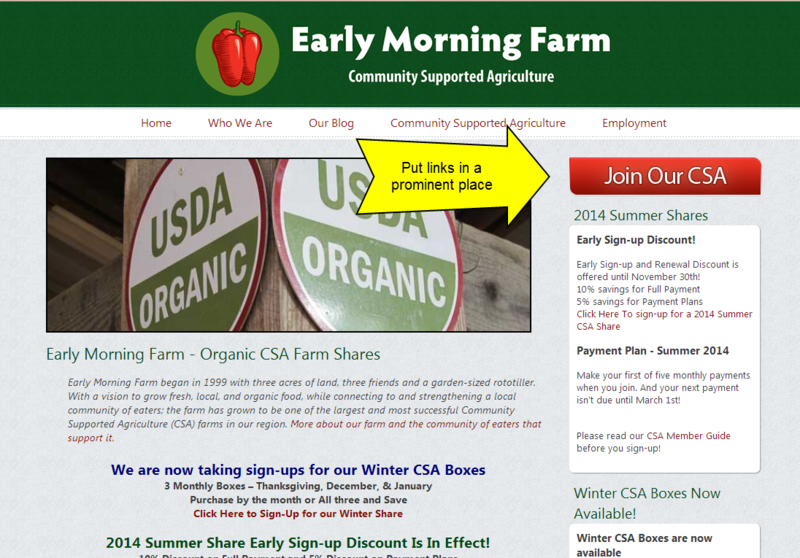 Now you are ready to post your Farmigo Member Links to your website. Your technical advisor has provided you with four member links on the first page of your checklist. It is up to you which ones you would like to post to your website. 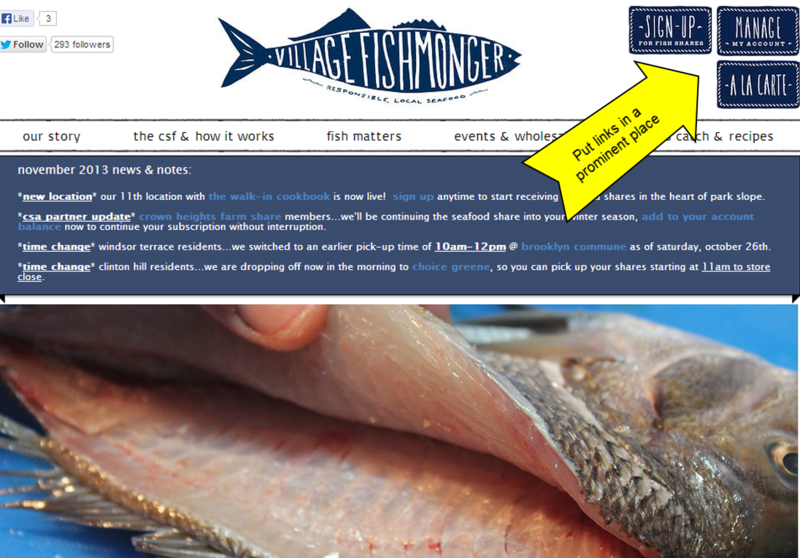 When you are ready, you will add hyperlinks to your Member Links from your business website. 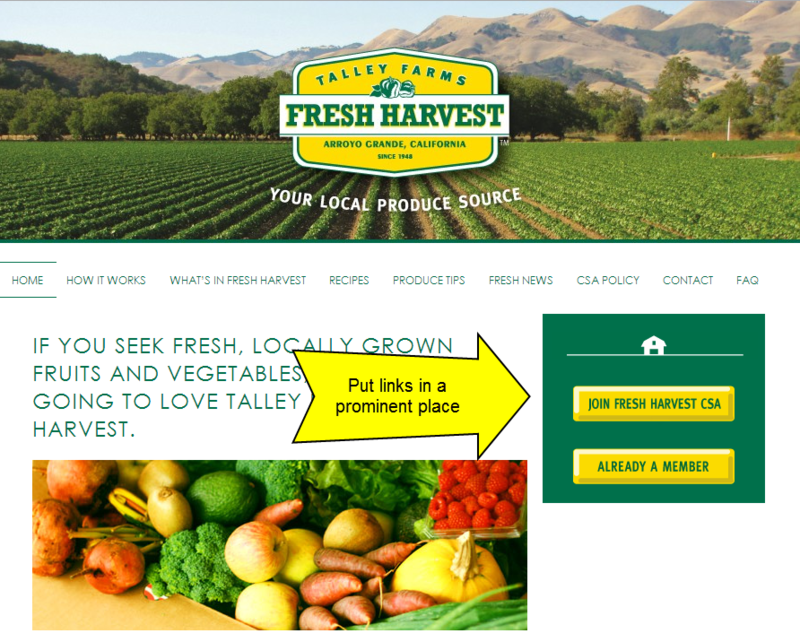 It is important that the links for member sign-up and account login are upfront and center on your business webpage. We recommend placing these links in the upper right hand corner of every page so that new and existing members can easily find them. NOTE: Hyperlink the links directly. Do NOT link to the member links using iframes and do NOT mask the links. When a member clicks on the hyperlink from your website, they should then see the entire link that you see on your checklist in the address bar of their web browser. What does each link do? Join Link: This is where new members will sign-up for your program. Account Link: This is where existing members will login and manage their account. From this link they can put their delivery on hold, change their pick-up location, change their subscription, review their account history, send additional payments, and much more. Pay Link: Existing members can access the pay link after they sign into their accounts, however, some businesses like to put this link directly on their website to encourage members to stay current with payments. Store Link: This will bring members directly to your web store. In the web store, members can add items to their order for a one time delivery. You can also set up guest store access so that anybody, member of your program or not, can order from your webstore.